If you shop at Farmers Markets you are most likely very selective of the food you eat, preferring chemical free, locally grown “Slow Food”. At WoodsEdge Farm, we raise “Slow Fiber” without pesticides or herbicides in our fields where carefully shepherded groups of healthy happy animals graze. Annually, our alpacas and suri llamas are shorn so we can harvest their luxurious fleeces and begin the process of converting it to yarns then hypo-allergenic products from socks and scarves to rugs. Like many “Slow Fiber” herds, our animals are not all white like mass produced fiber, but rather come in a range of natural colors from shades of golden fawn and rich browns to smokey grays and inky blacks. Once the animals are shorn, we grade the raw fiber into six different grades and 25 different colors. At each step of the process, we select the fibers which are best for the end products which are made in “Slow Fiber” studios or small mills. We will re-open in November 2019. Until then see us at your local farmer's market! 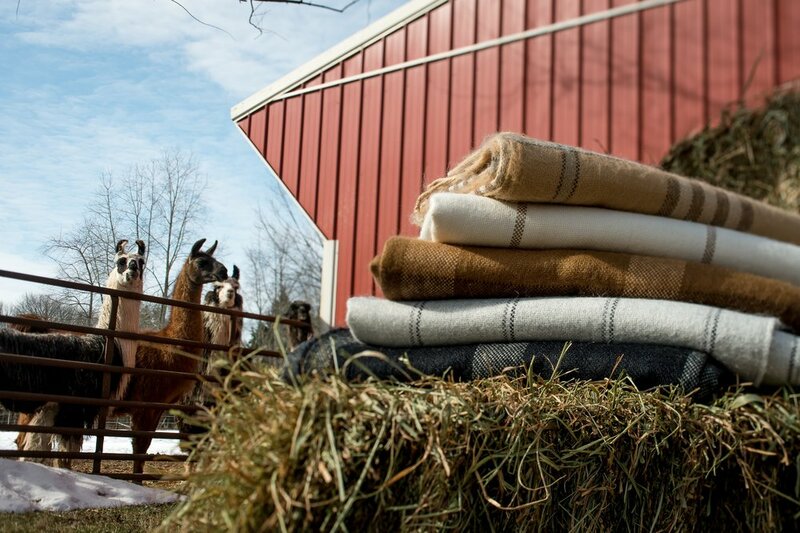 WoodsEdge's "Field to Fashion" alpaca and suri llama breeding program produces exquisite fiber used to make a range of hypo-allergenic products for your home and family. Products you will likely find at most markets are listed below, but you can always call or email us for special orders to be brought to a market. This year look for some of your favorite items as well as new products! The art of beekeeping is truly fascinating. As hundreds of "worker bees" are out pollinating crops, flowers and trees, one queen bee is ensconced in each hive. A single queen bee populates the entire hive, laying thousands of eggs each day to produce a remarkable society of nectar producers. 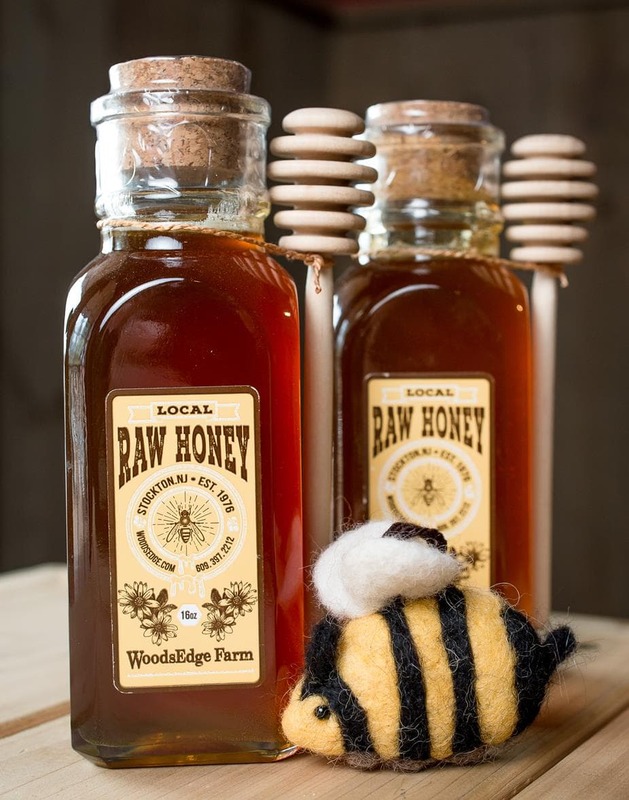 When the workers return home laden with pollen, the bees begin their honey making process, yielding two products-honey and beeswax. Our beeswax candles come in many shapes. From our elegant hand dipped beeswax tapers to our big pillar candles, you'll appreciate the negative ions (those are the good ones) emitted by burning beeswax, which help to eliminate mildew, pollen, and other toxins from your home. We also have a fun selection of molded beeswax candles from pine cones to old fashioned bee hives! Yak meat is perhaps the healthiest and tastiest beef alternative on the market today. Native to the Tibetan Highlands, Yaks are hearty winter animals. Besides Yak meat's incredibly healthy composition, WoodsEdge Yaks are raised on a natural grass fed diet. No hormones, additives, or fillers.